This past week I came back from performing Umrah and one of the most frequent questions I received was how can you issue an Umrah visa when living abroad. I managed to issue an Umrah visa from Doha when the border is closed. Actually, it was very easy! Keep on reading. This comes up as a question in general for people who are living abroad and want to perform Umrah but find it hard to issue their Umrah visa from their host country. 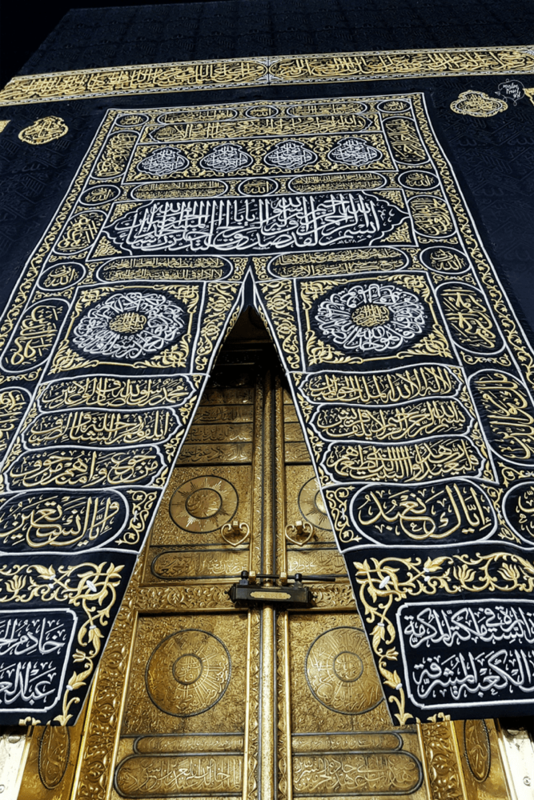 When can you issue an Umrah visa? You can issue an Umrah visa while living abroad in a different country if you have a residency permit for that country. For example, if you are an expat living in Qatar like myself we can issue an Umrah visa from here OR we can issue an Umrah visa from our passport country, the UK. If you have read this site consistently you will know that we had applied for an Umrah visa back in Ramadan from Qatar just 5 days before they closed the border. The visa was issued, visas get issued by the agents but need to be activated by the embassy, but the Saudi embassy in Qatar was not accepting passports so ours got returned without being activated. Looking back at it now, I am happy it didn’t because I know some people had difficulty entering Saudi. How did we issue our visa this time around? We are British citizens and I overcame my fear of passport separation when I decided I wanted to go for Umrah. I decided to DHL my passports to my agent in the UK, which is Prince Visa and I let them do their “magic”. As it turned out I am not the only person sending passports around the world and actually, it’s quite common! Not sure why I had this anxiety it will get lost and I will have to deal with a bureaucratic nightmare. I sent my passport on a Friday afternoon and it was received by Prince Visa on Monday morning. Which was amazing. The DHL I used here for those Qatar expats is the City Centre mall branch but I am sure the service will be similar. I had included a returned envelope by DHL and also received 50% discount on this so I believe the total cost was approximately 550QAR ( £100) for a secure sending of my most important and prized possession, my passport. On this note, I have to give a big shout out to Prince Visa because as it turned out my visa was still in the system and my passport only needed to be activated at the Saudi Embassy so I didn’t have to pay another fee (this was already paid). Also, they returned my passport within a week which was amazing! I believe I sent the passport on the 1st of December and they returned them on the 10th of December. It actually helped us bring our Umrah about 2 weeks earlier and I am so glad we did because the place was packed for the Christmas holidays. Now, please note this is not a standard option and if you are sending to them or any other agent your visa it is advisable to do this about 4 weeks before your travel dates to ensure you have received your passport on time. Once the visa gets activated you have 30 days to enter the country. It just happened that when they checked my visa fee and the visa was in the system from my July attempt. So if you want to send your passport to your home country it actually turned out to be a very smooth process. Just inform your agent that you will be sending your passport via DHL to expect it, then they should send it back either with the return envelope provided by you or they can DHL it to you. Overall the process was much easier and relaxed than I expected and I would totally do this again insha’Allah. I like I can track my passports along the way and of course, the fact that they are in safe hands helps too. I had initially thought to fly out there and wait on them myself which would have been a crazy option, to say the least! If you are a British citizen and want to use Prince Visa I highly recommend them, they have been great to me and my readers, they also provide you with 20% discount which is £80 per visa instead of £100 by quoting “MuslimTravelGirl”. I don’t make a profit on this but it is my sadaqa to all of you. They are one of the long-standing agents dealing with Umrahs and they were recommended to me when I started this blog by another tour operator. You are doing such an amazing sadqa e jariyah! May Allah reward your efforts!! Jazakallah khair for such a comprehensive guide to DIY umrah. i also hold a british passport as well as oci card as I’m born in india. I am not sure what oCI is but if you have indian passport you can sent there too or to the UK. My mother is visiting me to UK from India and i woild like to take her for umrah. Would you advice her to get umrah visa from india or should i apply her visa from UK once she has arrived into UK? Salaam sister. First of all very well done for your amazing website with such detailed info for Muslim holidays and umrah. I have a quick question which I am struggling to find any answers to. I am about to book DIY Umrah during Ramadan 2019. Eid should be between 4-6th of June but we don’t know the dates yet. On various website it says umrah stay during Ramadan must not exceed last day of Ramadan and you are not allowed to celebrate Eid ul fitr in Saudi. I don’t know when to book my return flight as I don’t know when Eid will be. 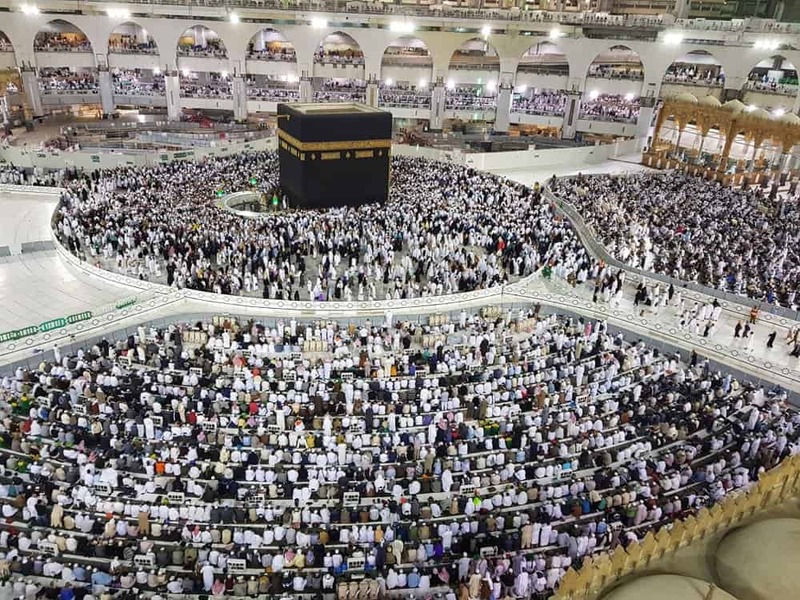 I would want to book it for 7th of June so that I can make sure to spend all last days of Ramadan in Saudi and perform eid salah at the haram before departing. But don’t want to book flight for 7th and upon arrival in Saudi the officials sends me back because I have booked my return flight after Eid. I have tried contacting Saudi embassy in UK but they are being useless and nobody answers the phone or replies to the emails I sent. I have stayed for Eid and it was not a problem. Just dont stay more than 1-2 days. I would book it the night of the Eid day. Hi, my wife is Dutch and has a Dutch passport but works in England. I’m British and work in England too. I know someone who is taking a group to Hajj from Holland. We both want to go Hajj from Holland too. We’ve emailed the embassy in Holland but they said they deal with these queries in mid Ramadhan. Do you have any suggestions for us so we can go Hajj from Holland when we live in England. Sorry i don’t have the answer, I know in order to issue a visa you need to be resident in the country, so it might be hard for you to do this unless they can pull some strings. my son is working in qatar and i would like to call him on visit visa here in saudi arabia. You should check this with a agent, they will be able to help you.